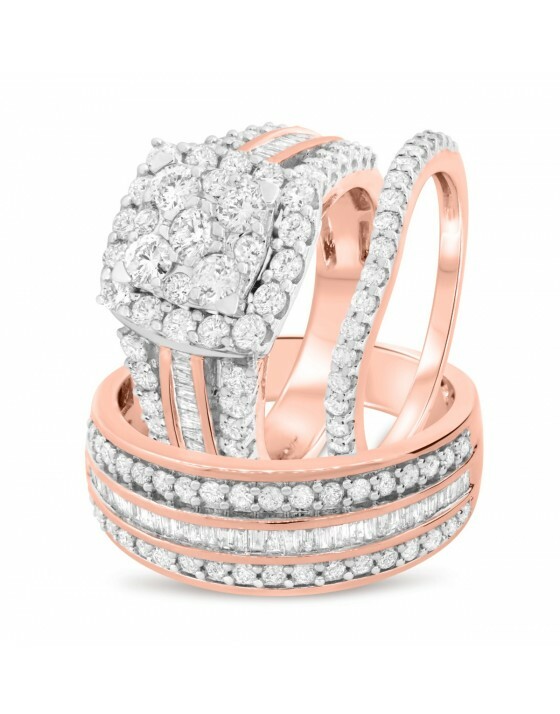 A true work of art, a Masterwork ring features unique & intricate design details that are reminiscent of sculptures. 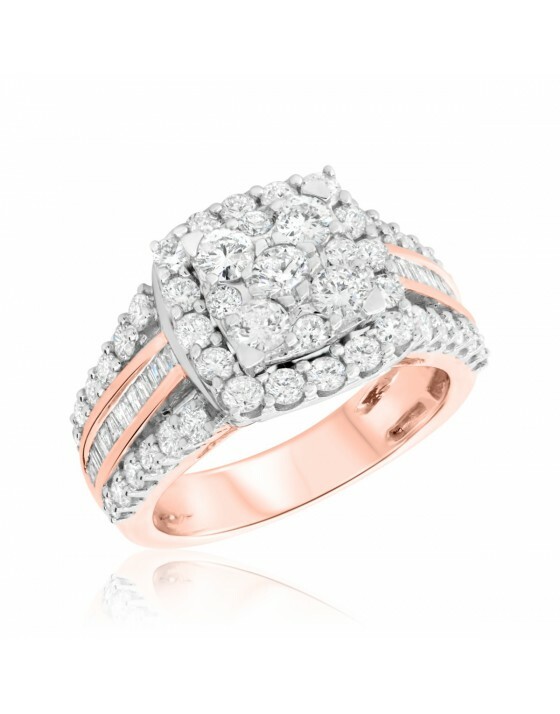 This lavish 2-carat diamond engagement ring is sure to please the bride-to-be and impress everyone around her. 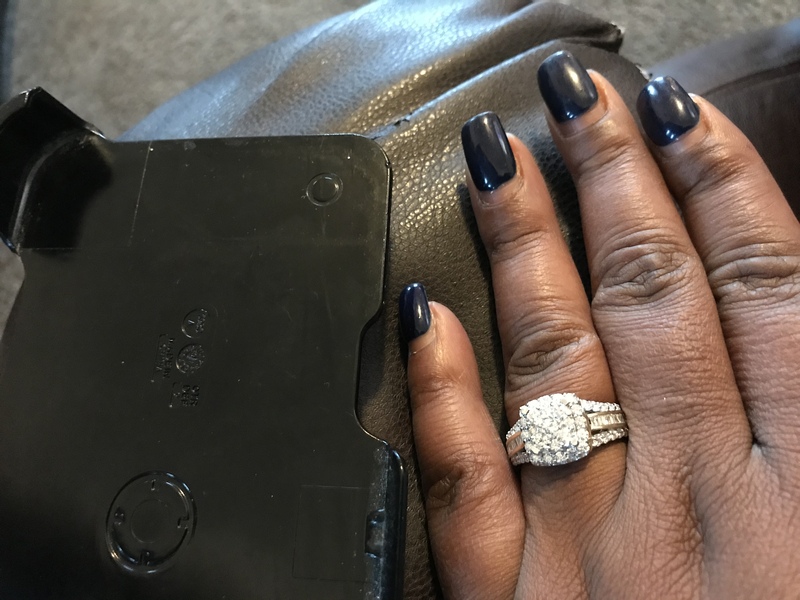 This proposal ring features a stunning array of 73 diamonds. 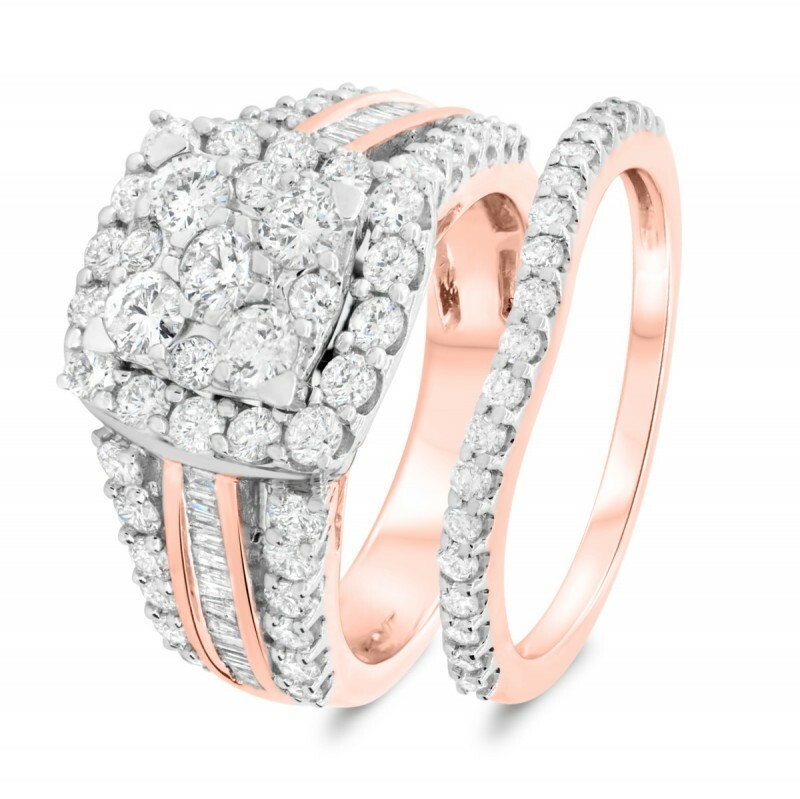 The center cluster sparkles with round diamonds while the 14K Rose gold band features a mix of round and baguette cuts. 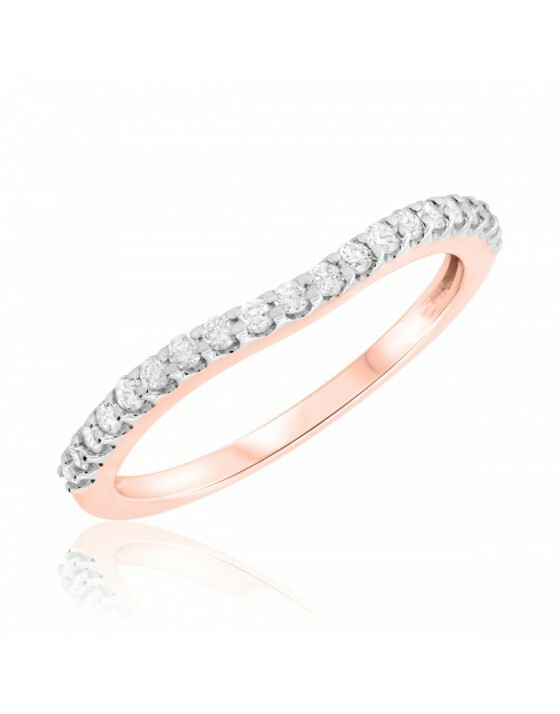 This elegant diamond ladies band is subtle yet beautiful, providing the perfect finishing touch to an elaborate engagement ring. 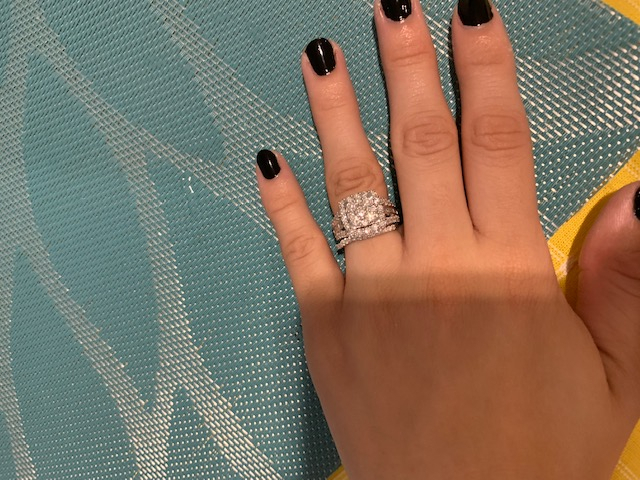 The curved style fits perfectly around the proposal ring while this ladies wedding ring shines on its own. 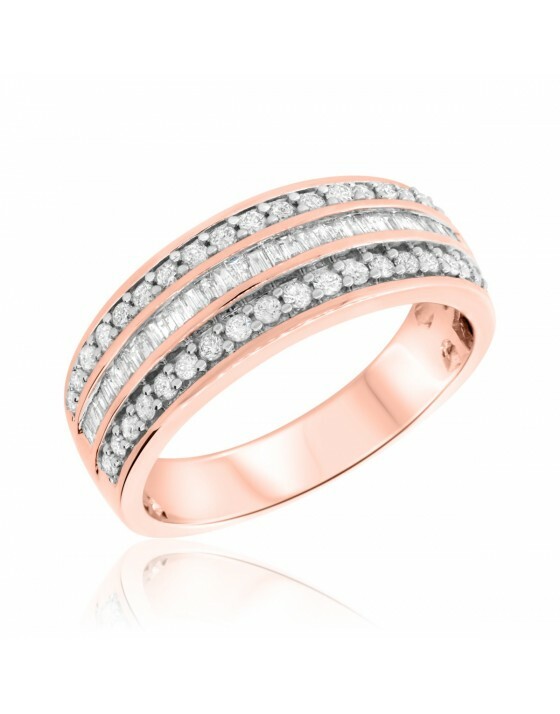 It has 20 round diamonds weighing 1/4 carat in a setting of 14K Rose gold. 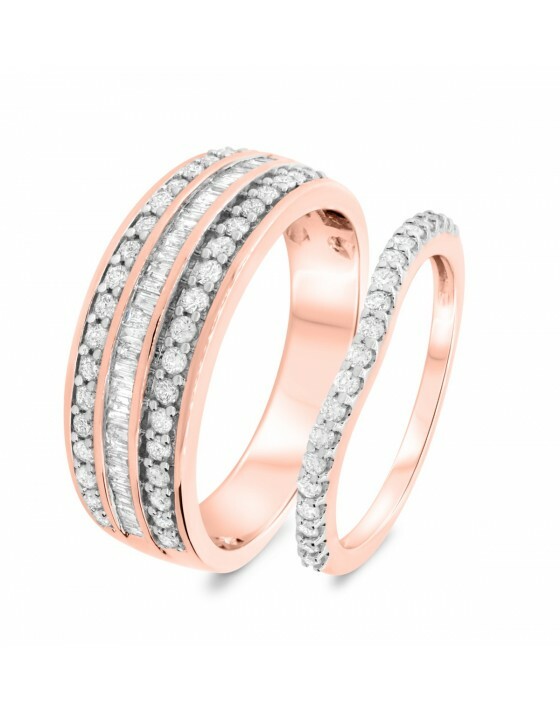 This ring is absolutely beautiful. The picture does NOT do it justice. It’s is very sparkly!! Totally worth the wait if having it hand crafted! This is a beautiful choice. The pictures really don't do it Justice. 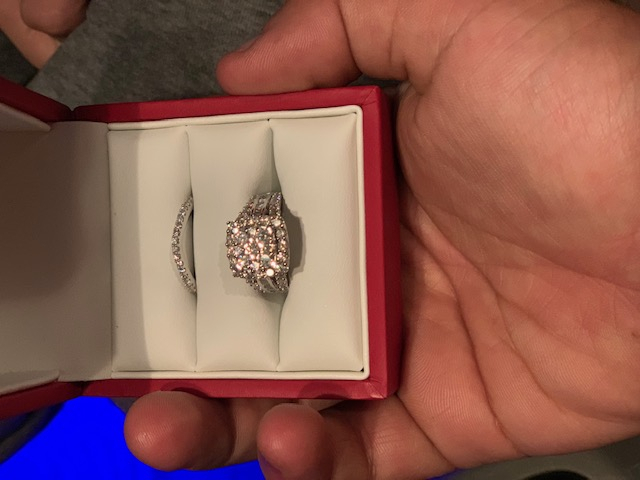 The ring looks even more amazing in person. Can't wait to propose to my girlfriend and see her reaction. Loved the rings! Very beautiful! Also the customer service was excellent from beginning and even after the purchase was completed. 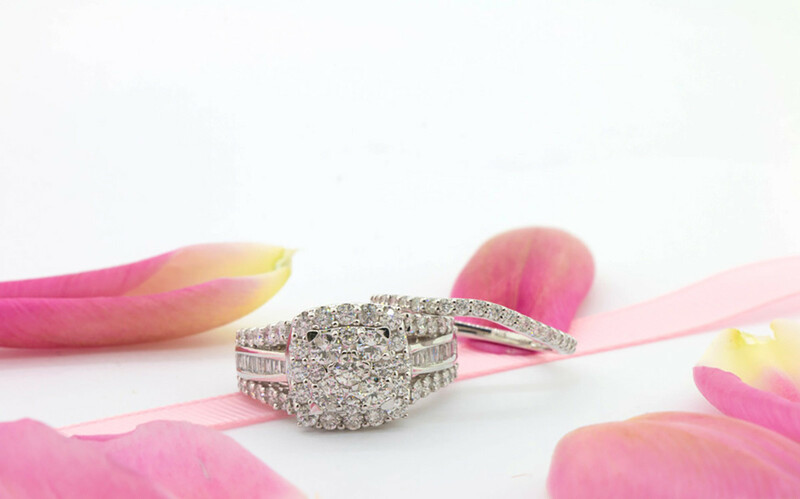 Love everything about it, from the rings themselves, to warranty offered. The delivery was actually faster than the estimated time. 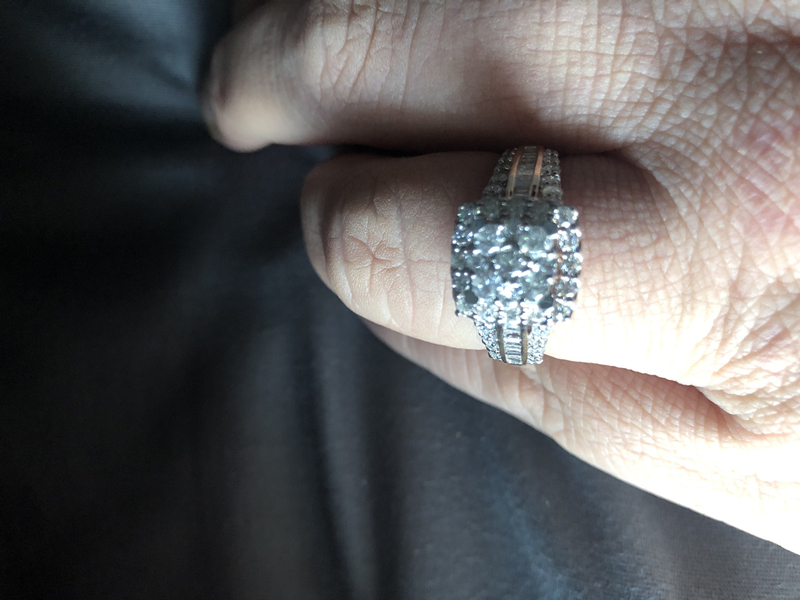 I had an awesome sells person giving my shot out to Authur D. This gentleman is so awesome I had an issue with the first set and of rings I had. I called an spoke with Authur D. Let me tell you, he stayed on the phone with me over an hour to make sure I was happy and satisfied. Aurthur stayed on the phone and help me pick out another set of rings, the questions I asked if he didnt know he made sure he found out the answers to the questions and I did not have to ask him to ask someone, he showed good customer service skills, he was respectful, never once gotten nasty, showed patience very professional, and most of all great communication skills ,truly have to say I’m glad i pick these rings. My rings have came I’m happy and satisfied. I would most definitely recommend this company and Aurthur Doelp! Keep up the Good Work Authur Doelp!